Looking for experts to install your new aluminum garage door in Texas City, TX? Depend on our installation expertise, on time service and outstanding work. We are in the business of repairs and installations a long time, and have extensive knowledge and know how. 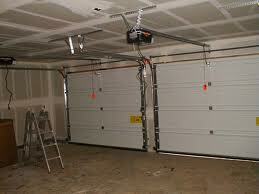 When you rely on Garage Door Repair Texas City, you enjoy peace of mind. Did you already choose the door that you want? Need our help? Rely on the assistance of our staff. We don’t only offer proper garage door installation in Texas City, Texas, but can also help beforehand. It’s not always easy to choose the right door and parts. With our assistance, you will make the perfect choice. Why? These are the very first things we do for you and long before the garage door installation service. Is there need to also replace the opener? We help you choose the right motor for trouble-free operation. The installation service takes place soon after the new products are ordered and at your convenience. As for our expertise, you can be certain that all technicians in our team are qualified installers. We have engaged in new garage door installation tasks many times and are updated with any new door on the market. The service is done in compliance with the door’s specifications. The same rule is applied to the installation of your new Liftmaster, Genie or Craftsman garage doors opener too. Regardless of the door you select or the brand of the operator, our technicians will meet your requirements and expectations. Whether wood or steel, your Texas City garage door installation needs will be covered to your complete satisfaction.